NEVADA COUNTY DEMOCRATIC CENTRAL COMMITTEE FASCIST USA? CONCENTRATION CAMPS? FOR KIDS? FASCIST USA? CONCENTRATION CAMPS? FOR KIDS? Let me start with a disclaimer – in my writings I try to be “above the fray.” Which is to say, non-partisan, respectful of all opinions and reasoning, even to the ones that were or are contrary to my own. It still stands – the arbiter of my take on everything is the truth and truth only, validated by proof. Yet – and I have reached this point – there are truths that hurt, truths harmful to oneself and others, truths that make “one’s blood boil.” Regretfully, such truths are about the USA these days, as represented by a shameful “government” of Mr. Tweetler and all of his mindless, heartless, and indeed, criminal followers (remember “crimes against humanity?”). 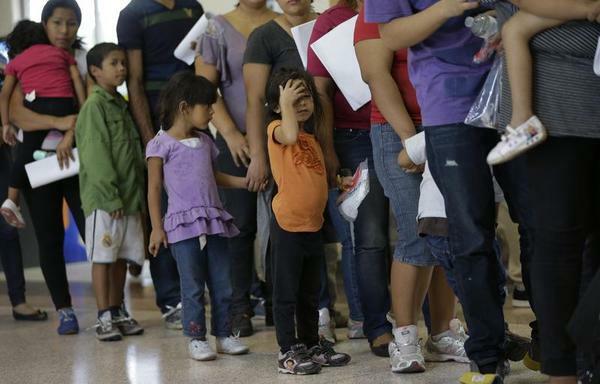 For the ones of you who do not follow the news, about two thousand children were deprived of the company of their parents on the US – Mexico border in the last two months. The “government” decreed that it is lawful, “mandated by law” to separate innocent children from their parents. Who knows what is next for them? Let me digress into the lessons of history. In 1942, after the assassination of the Nazi “protector” of Bohemia and Moravia (the Czech Republic today) Reinhard Heydrich, the German “government” instigated and executed “a collective punishment” against the inhabitants of the village of Lidice. Read all about it at https://en.wikipedia.org/wiki/Lidice_massacre. I invoke this terrible memory because a significant part of it was the separation of children from their mothers and fathers (fathers were executed) – only seventeen out of eighty eight children returned after the war. I just watched the movie “The Butcher of Prague,” available on Amazon, with scenes of crying children being taken away from their parents. Scenes just like in the USA today!!! In that respect all respect is gone! There is a lot of merit-less noise about “upholding the law” from the heel-lickers of this atrocious policy of family separation. It is worth to remember that fascist dictatorial regimes were backed by “laws.” However, the defense “I just followed orders, as prescribed by laws and my oath to the Fuhrer” did not work at the Second World War Nuremberg trials. All those responsible for “crimes against humanity,” laws or no laws notwithstanding, were hanged or otherwise punished for their deeds. No one – let me emphasize – no one can escape personal responsibility for immoral harmful actions. No one, not even Mr. Tweetler, the overseer and proponent of cruelty… against children! A proponent of the collective punishment, indeed. Additionally, couple this with his blatant lies, such as “Democrats are responsible for this,” “Congress has to fix this, “and so on. Anything, but responsibility for his own deeds and actions! Enter the proverbial slippery slope to authoritarian or even fascist systems. It might be impossible to express our own views without the threat of retributions. This is happening in the USA – just listen to the charades against the FBI employees “biases” against Mr. Tweetler. Worse than that, “A critical cartoon of Donald Trump could get you fired in America” (USA Today). Pittsburg Post-Gazette banned the cartoons of a Pulitzer finalist Rob Rogers and then fired him. Is it, these days, “the American president above American principles?” What are those “American principles?” And who will uphold them and by what means? No, I cannot be quiet. My blood is boiling. Thank you very much for your essay FASCIST USA? CONCENTRATION CAMPS? FOR KIDS?. But I’d like you to please consider naming the moneyed backers behind the nazis and the present day GOP “elected” leaders, tweeter in chief specifically. how this social and political climate has come to be; so confusion reigns. All these donators hide in the shadows or behind the “green curtain”. Shining light on them and their donations amounts helps everyday people understand how, why the current cruel, immoral, inhumane, unacceptable, traumatic, and detestable immigrant situation is happening.